Robinson Waste delivers Gloucester County NJ prompt service and very low-cost price quotes for all porta potty rental unit needs. 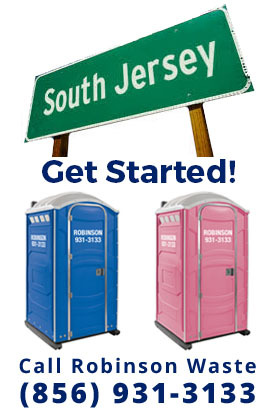 Whether you are in one of the towns listed below, Camden County, Burlington County, Philadelphia or Delaware County PA, one of our South Jersey porta potty specialists will be pleased to assist you. What is the location for the porta potty rental drop-off/pick-up? How many days, weeks, months will you need the porta potty rental for?